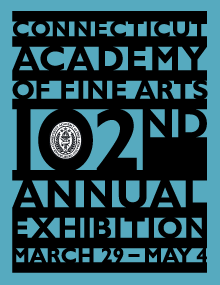 The Connecticut Academy of Fine Arts (CAFA) consists of juried artworks from Connecticut artists of all mediums, including photography, sculpture, graphic arts, and painting. This year, CAFA’s annual salon at Mystic Museum of Art will be juried by Artist, Curator, Director and Educator, Julia Pavone and New England Artist, Steve Wilda. CAFA is a non-profit arts organization established in 1910 by a group of renowned Connecticut artists. Their mission is to promote the art of area members.